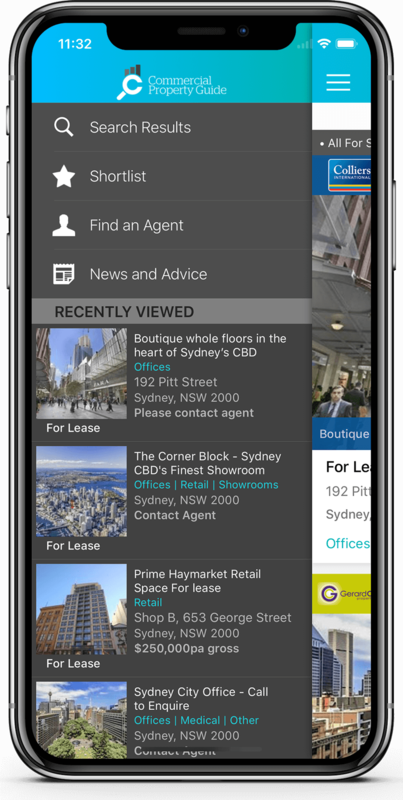 The all-new Commercial Property Guide app has a ton of features making it even easier to cut through to the right commercial space. At your desk or out-and-about, you’ll be ready to find that space you know is out there. 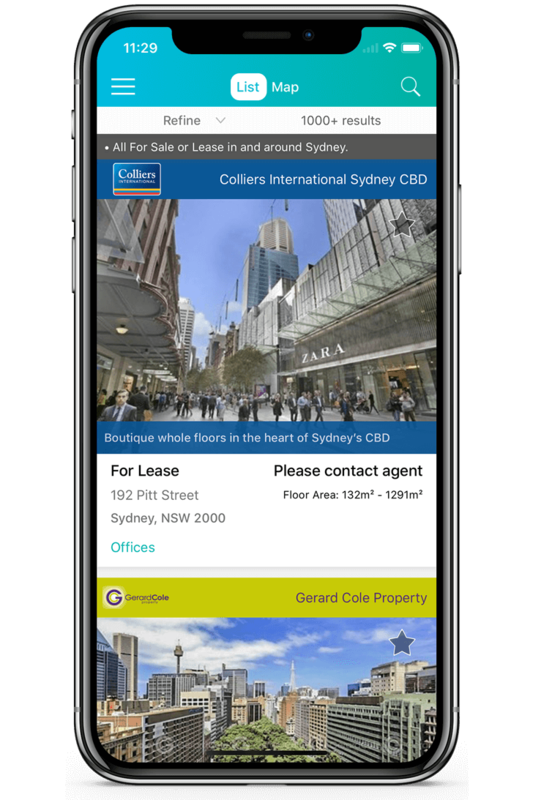 Built from the ground up, the Commercial Property Guide app is designed to be convenient and intuitive to use. Whatever your requirements, you’ll find all the information you need to make a decision on your next property to buy or lease. 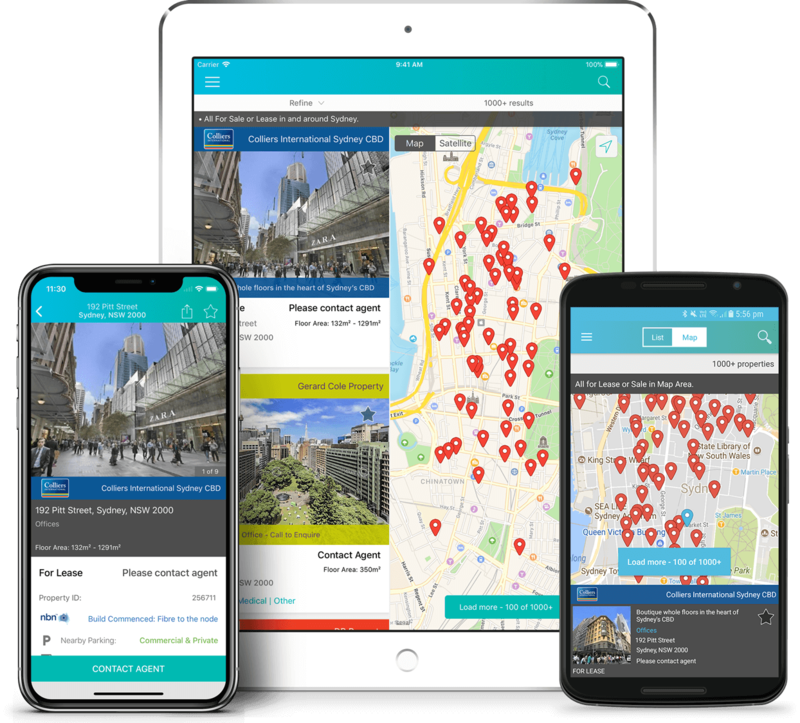 Using in-depth searching criteria and shortlisting curate a list of your ideal properties ready to share and enquire on. Location is important, so utilise GPS location features and map searching to find the properties of interest to you. 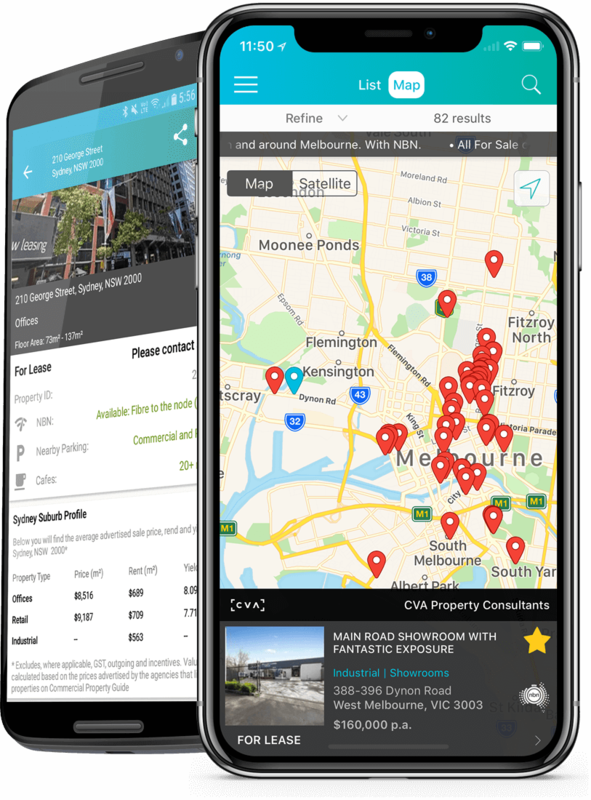 While seeing the interior of your next property is important, you will also find the useful on local information like suburb price guides, nearby cafés and parking availability. If high speed internet is crucial, you can filter your search results based on NBN availability, the same way you would select a price range, floor area or property type.